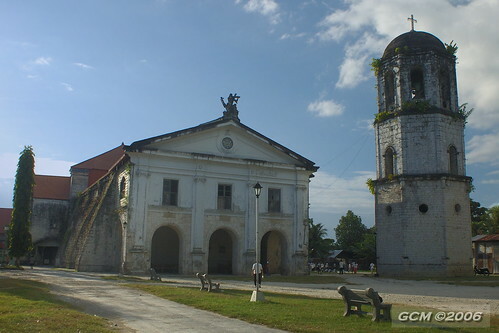 Loay was formerly a small village called Santissima Trinidad situated at the bar of the Loboc River as mentioned in the accounts of Father Juan Delgado of the Society of Jesus. That was in the period 1751-1754. As a visita, it belonged to the municipality of Loboc. 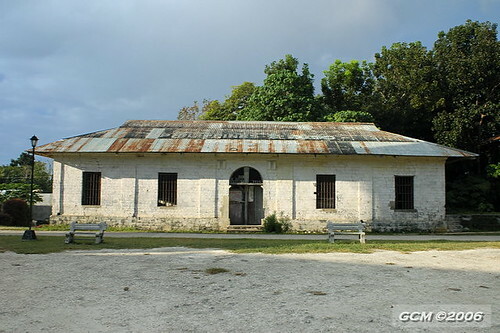 It was separated from the Loboc mission in 1795 although some states 1815 as the foundation date and Redondo (1886) reflects that it became an independent parish in 1799. How its name was changed is not known. However, it was listed as Loay in the account of the Augustinian Recollects as one of the thirty four towns in the province at that time. The Loay town was divided into two parts, the lower and the upper parts. 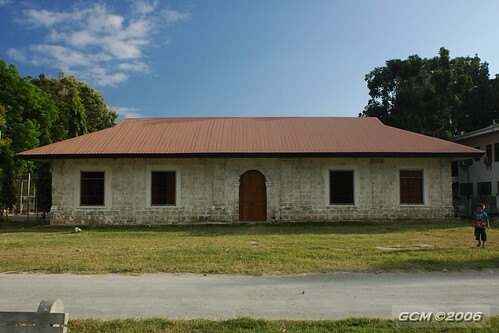 The lower part was referred to as “Canipaan” for it was situated among nipa swamps while the upper part was called “Ibabaw” because it was situated high up on a plateau. Being situated along the coast, the town was often subjected to raids from marauding Muslims. For protection, the townsfolk built a fort and this is believed to have been placed up on a plateau around the church complex. To coordinate with the fort, a watchtower was built in the lowlands, at the seaside. Warnings coming from the watchtower allow the people to seek refuge from the fort whenever seaborne attacks were forthcoming. The tower is made up of coral stones and brick tiles. After centuries of being battered by waves, its foundations were eroded and exposed. There is no entrance so the early settlers may have used a ladder or a rope. The tower can be approached after negotiating several mangrove swamps and is better seen from the waters. Much of Loay’s history is based on church records. On the church’s inner façade, it was noted that the construction of the church was completed in 1822 so construction of the church can be construed to have started way back when it was established into a parish. The portico added to the former façade was completed in 1889. A pipe organ that dates back to the year 1841 shows that the people worshipped God with music and songs. With the people’s inherent love for music, the Spaniards surely did not find it hard to share their knowledge of music to the people. The church convent was built behind the church, following the line of the nave before turning left to form an L. The date carved on the doorway facing the church is 1838. This date likewise appears over the entrance facing the grand stone stairway that links the lower and upper parts of the town. The church belfry was built by Carlos Ubeda and lies a bit distant from the church building. 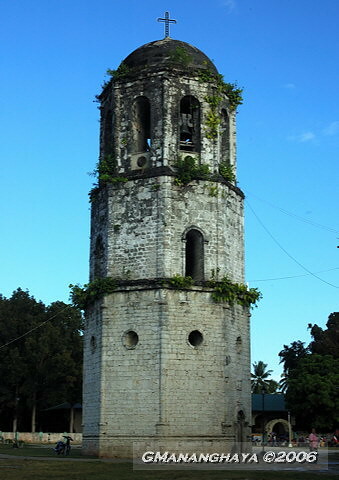 The bell tower was built in 1865 as carved over the entrance to the tower. Two houses were also built by the Recollects during the last quarter of the 19th century and used as school houses. 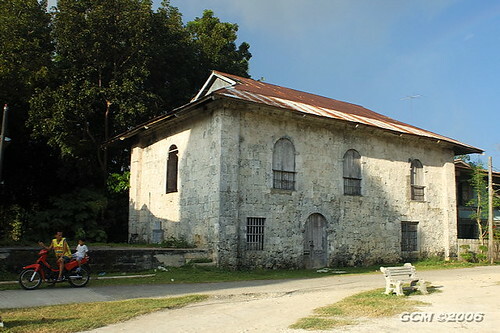 Another two-storey structure served as the municipal hall then. Situated along the coast, most of the Loayanons were into fishing. 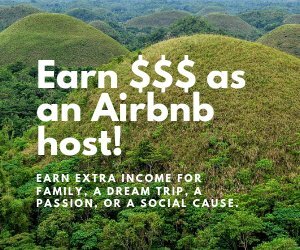 They hunt dolphins, whale sharks, and manta rays which are abundant in the area. Others were into bolo making, saguran weaving, nipa thatching, farming and the domestication of farm animals. Today, the local government has outlawed the hunting of the dolphins and whale sharks which are considered as endangered species. Backyard industries are being developed to keep the people from hunting these marine mammals. The raising of goats have been encouraged and likewise the art of bolo making and nipa thatching. From a sleepy town, Loay has now evolved into a bustling community with many business establishments. The presence of its wharf and good roads also helped to boost up the marketing activities of the town.